We are excited about our developing educational initiatives. The Susan Anderson Kerr Scholarship is dedicated to educational outreach in the greater Austin area. With the help of this scholarship, TEMP’s special Outreach Ensemble performs a concert series in Austin area schools. Begun in 2013 as a scholarship to help specific students attend TEMP performances throughout the season, this scholarship has since evolved into a more far-reaching program where our Outreach Ensemble visits different schools in the Austin area, thus effecting a far larger group of young minds than before. 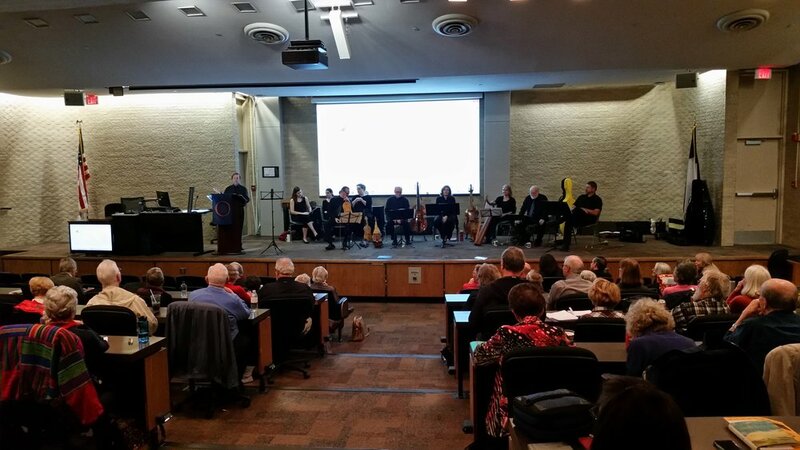 • TEMP's A Brief History of Music in Western Europe: Our Artistic Director and founder of Texas Early Music Project, Daniel Johnson, gives a brief overview of the development of music in Western Europe over six centuries in an entertaining lecture-recital format. TEMP's group of 10–12 singers and instrumentalists perform various pieces as examples during the lecture. The lecture-performance is followed by a 10-minute Q&A session. Running time: 45 minutes. • TEMP's 24 Italian Hits! Available in the spring semester 2017. TEMP's ensemble of 4-5 professional singers and a small continuo ensemble gives an authentic, entertaining performance of selections from the famous 24 Italian Art Songs and Arias, a staple of every Solo & Ensemble Contest in the state of Texas. This Outreach program is especially tailored to school choirs and voice students. Running time: 45 minutes. 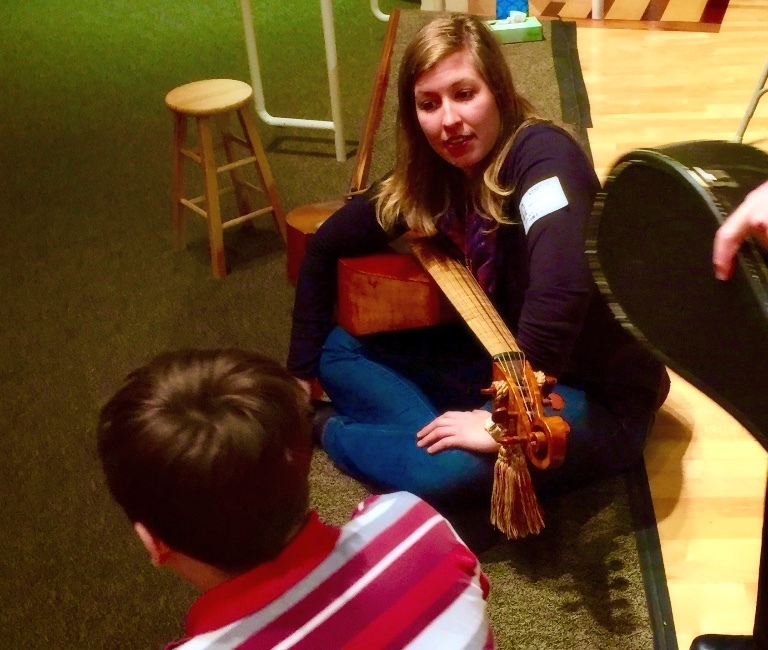 We’re looking forward to meeting more students and teachers and introducing them to their musical roots! If you know any instructors who are interested in these opportunities, or would like to support our efforts in any way, please call (512) 377-6961 and leave a message, or email us! All contributions to the scholarship, or directly to TEMP, are fully tax-deductible. We are delighted to announce this new, free online course offering taught by Dr. Roger L. Martínez-Dávila. With enrollment offered on a monthly basis, this course incorporates music from our Convivencia CD as students explore Jewish, Christian, and Muslim intercultural relations in Iberia from the Visigothic era (6th century CE) until the creation of Queen Isabel I and King Ferdinand II in Catholic Spain (late 15th century). We evaluate the many identities of the peninsula known as Christian Hispania, Jewish Sefarad, and Islamic al-Andalus. We trace the origins and trajectory of conflict between these communities (the Muslim conquest of Spain, Christian Reconquista, prohibitions blocking intermixing of peoples, and expulsions). We aim to understand conflicts within communities as well, such as the tensions between Christian Arian Visigoths and native Catholic Iberians or the fundamentalist North African Almohad Dynasty that rejected the Spanish Umayyad Caliphate’s preference for religious tolerance. We delve into an appreciation of collaboration and coexistence among these communities. We explore the unique role of the Jewish community who Muslims and Christians depended upon as political and cultural intermediaries as well as their intellectual collaborators. We find the history of how peoples attempted to create and manage viable diverse communities. As we study this history, the Honors Track will employ an investigative process (“The Historian’s Craft”) that involves viewing, reading, analyzing, and reflecting on events, peoples, places, and artifacts. Read more about this course in The Times of Israel article, "Old Tensions Come to Life as Medieval Spanish Synagogue Goes Online. In addition to our Convivencia CD, see also our related recordings, La Rosa: Sephardic Love Songs c. 1400–1600 and Night and Day: Sephardic Songs of Love and Exile. We are delighted to announce that our Convivencia CD has been recommended as supplemental material for the free, online Coursera course, Deciphering Secrets: The Illuminated Manuscripts of Medieval Europe, taught by Dr. Roger L. Martínez-Dávila and Dr. Ana B. Sanchez-Prieto. See the intro video for the course below. TEMP's music is featured in the Week #5 video, "Digital Narration of the 'La Mota' Case Study." Perhaps no other relic of the European Middle Ages captures our imagination more than illuminated medieval manuscripts, or those documents decorated with images and colored pigments. Serving as windows unto a lost world of kings, ladies, faith, war, and culture, they communicate complex visual and textual narratives of Europe’s collective cultural heritage and patrimony. In this fashion, illuminated manuscripts are dynamic messages from our communal past that are still relevant today in fields like graphic design and typography. In this seven-week course, students will explore the material creation, content, and historical context of illuminated medieval European manuscripts. Students will acquire an introductory knowledge of their distinguishing characteristics, their cataloguing and periodization (when they were created), the methods utilized to produce them, and their historical context and value. Deciphering Secrets: Unlocking the Manuscripts of Medieval Spain. (Or "Descifrar Secretos: Descubrir los manuscritos de la Edad Media española") A free Massive Open Online Course (self-paced) In this course students will explore the history of Jews, Christians, and Muslims in late medieval, fifteenth century Spain. Visit the Deciphering Secrets website for more information.